What toning formula is missing from your color arsenal?! 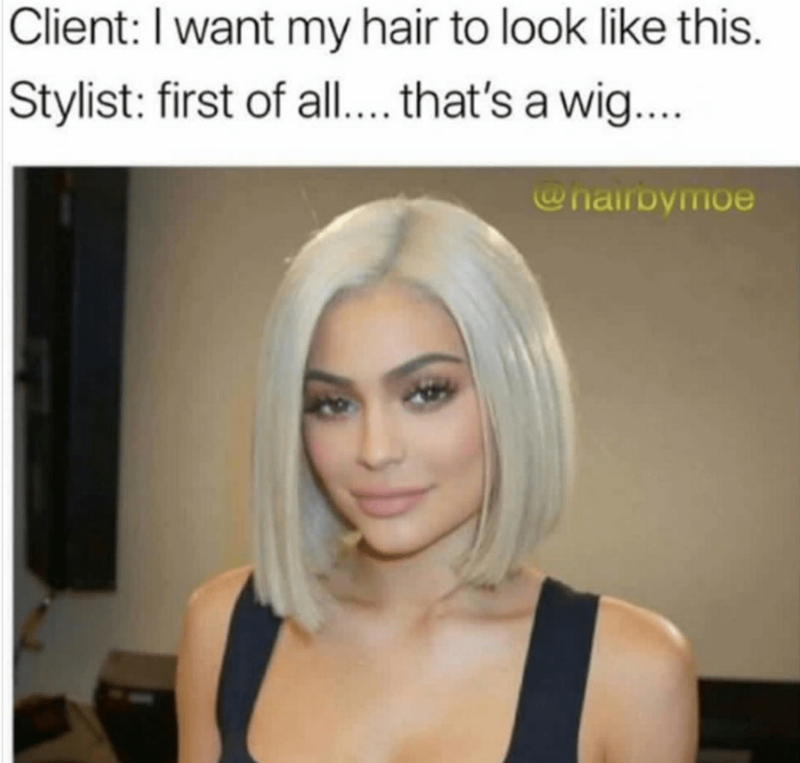 Just answer these seven questions about life in the salon and we’ll give you what you need to slay your next color appointment! 1. It’s a typical day in the salon. Who’s sitting in your chair? My regular root touch-ups & gray coverage clients. I have a diverse clientele that always keep things interesting! Trendy millennials who always know what they want! Mostly stay-at-home moms and their teen daughters. 2. What’s your favorite account to follow on Instagram? Do I have to pick one?! I’m obsessed with literally every balayage page. @behindthechair_com, duh!! I like a little bit of everything. My Insta feed is basically a rainbow. A hipster photographer you’ve never heard of. I’m mostly inspired by art and nature! 3. It’s your perfect day coloring in the salon…how do you spend it?! Highlights, babylights and foilayage! I am a foil addict. Experimenting with vibrant fashion colors! I’m a unicorn at heart. 4. One of your clients just texted you! What does it say? 5. Your client is processing. How do you spend your 30-minute break? Hanging with my salon bestie in the break room. I need a break! 30-minute break?! Never heard of it. Posting the process on my Insta story! I’m always hustlin’. Scrolling through my Insta feed to get inspired! 6. Choose the haircolor trend that literally gives you life. 7. Describe your ideal salon location. A small town with my regulars. Gray coverage pays the bills. California! I am obsessed with blonding, balayage & the beach! A big city! Somewhere I could experiment with edgier, creative work. Somewhere with southern charm…and a clientele of pageant girls! You’re like a walking Pinterest board, and your cool-girl clients always trust you to show them the latest trends. 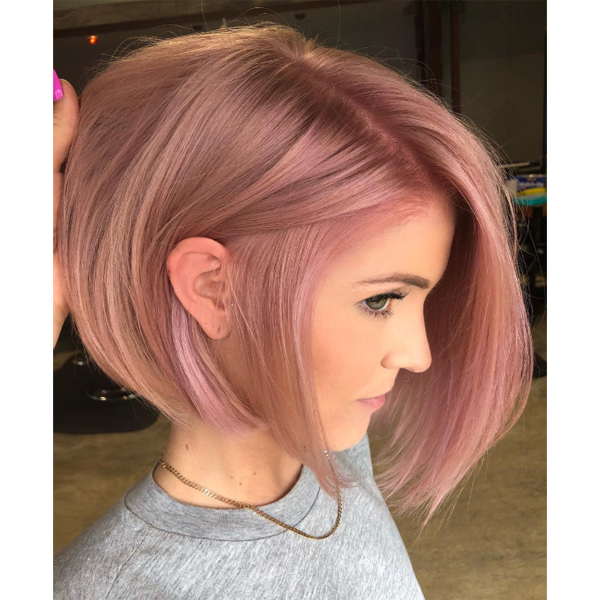 Since millennial pink basically went from celebrity trend of the year to haircolor of the decade, we’re giving you this rosé blush bob toning formula from Megan Schipani (@shmeggsandbaconn). Screenshot the deets and slay this look behind the chair—do it for the gram because this color is seriously post-worthy! Whether it’s highlighting or hair painting, you spend most of your days blonding behind the chair! 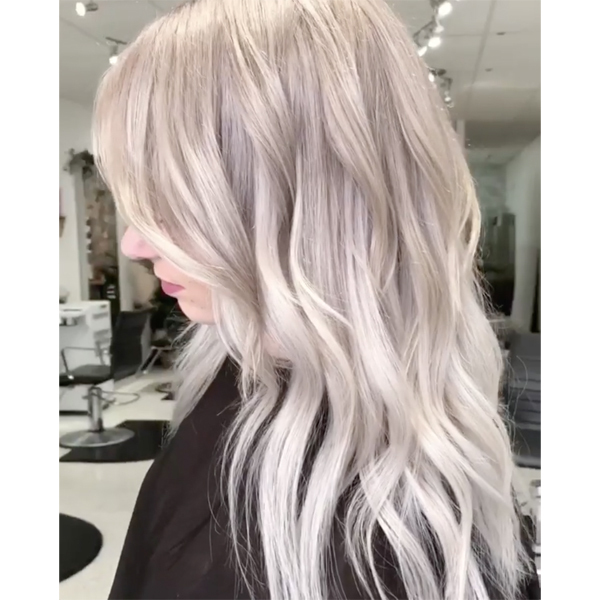 We also know you’re probably pretty used to the eye-roll statement, “I see yellow,” by now, so here’s an ashy blonde toning formula from Josie Vilayvanh (@josievilay) that will help clients ditch brass and keep it cool! You’ll achieve that cool-toned color they’re seeing all over Instagram, and keep your blondie babes hitting the books every few weeks for a refresher! You’re more of an artist than a hairdresser, and your salon’s diverse clientele trusts your creative vision. And when it comes to coloring, if it’s bold and rich in dimension, you are totally here for it! That’s why you need this rich copper toning formula in your color arsenal. Redheads are always a statement-maker and anything but basic (just like your clients! ), so try this bold look from Maggie Hancock (@maggiemh) ASAP. You have a loyal clientele (they’re basically your friends!) that have been coming to you for years, and you know exactly what they want in a color appointment. 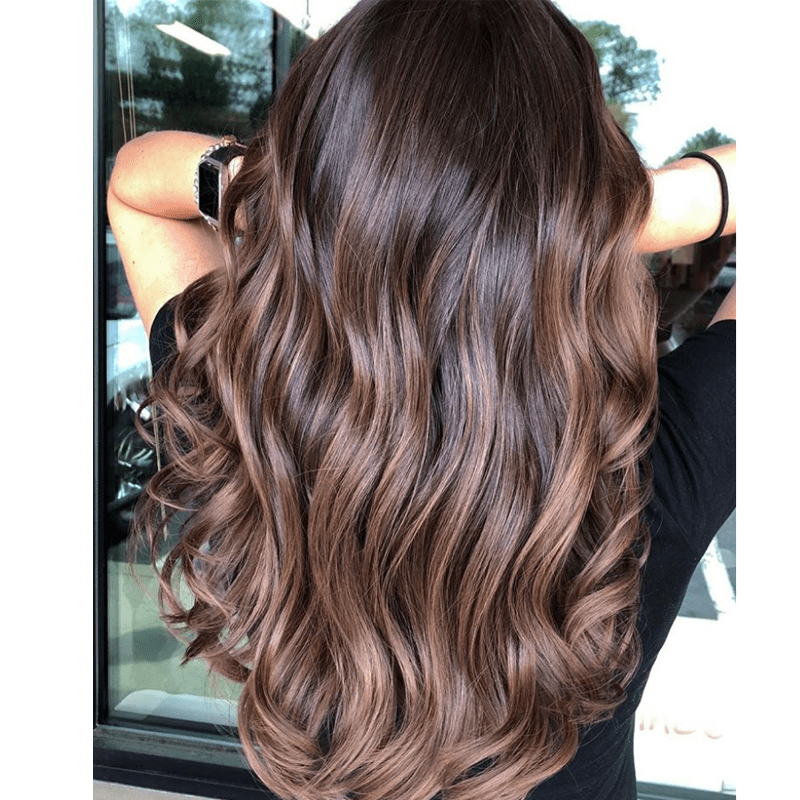 But they also come to your chair to stay-on trend, so next time one of your basic brunette clients walk into the salon, use this toning formula to give their color a cool-girl update. Screenshot and slay this cool-toned brunette perfection from Amy McManus (@camouflageandbalayage).